Redbrook HDR in the sunshine, a photo by Monnowman on Flickr. Redbrook Walk, a set on Flickr. This morning I walked from my home in Wales across the border into England, specifically the village of Redbrook in the Wye Valley. these are some HDR shots taken with my iPhone using the TrueHDR app. This BBC News article, combined with a recent visit to the USA reminded me of the misunderstanding that exists in the minds of not just Americans and others but – embarrassingly – English people about when to use the word words England and English. I should stress that I don’t believe it’s malicious; more a bad habit whose avoidance can prevent giving offence to those born in the constituent countries of the United Kingdom of Great Britain and Northern Ireland outside England. I also stress that I’m no constitutional expert: my own qualifications are merely having been born in England and living in Wales. 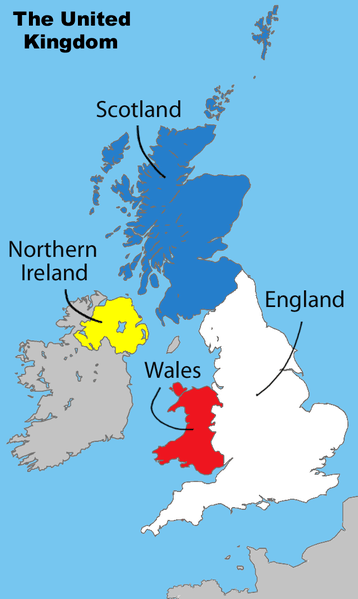 In short England is used wrongly to refer to the sovereign state whose formal name is the United Kingdom of Great Britain and Northern Ireland. This misuse went on in political circles until relatively recently, with Winston Churchill speaking during World War Two of ‘England’ when he was referring to the aformentioned sovereign state. Or was he? There’s an essay for a first year PPE student. Recent devolution of some government powers away from the United Kingdom government and parliament in Westminster to Northern Ireland, Wales and Scotland have served to make this issue more important to handle sensitively. Only use England when referring to the constituent country called England. Don’t use England if you mean the United Kingdom. If you are talking about someone or something from Wales, Scotland or Northern Ireland and the constituent country is relevant, don’t say ‘English’. Say Welsh, Scottish or Northern Irish. If you’re not sure, see below. Use ‘Britain’ or ‘The United Kingdom’, or ‘The UK’ when referring to the United Kingdom or if you’re not sure – or it’s not relevant – to which constituent country you are referring. The same goes for the adjective British. I was in Cumbria this week visiting my very elderly godfather who lives in Langdale in the heart of the Lake District. This was the view, snapped with my mobile phone, just down the road from his house.